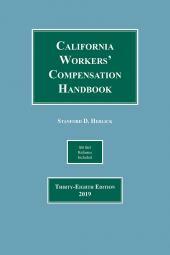 Considered by the courts as a leading resource for California workers' compensation, the popular Herlick treatise provides quick answers on this complex area of law. 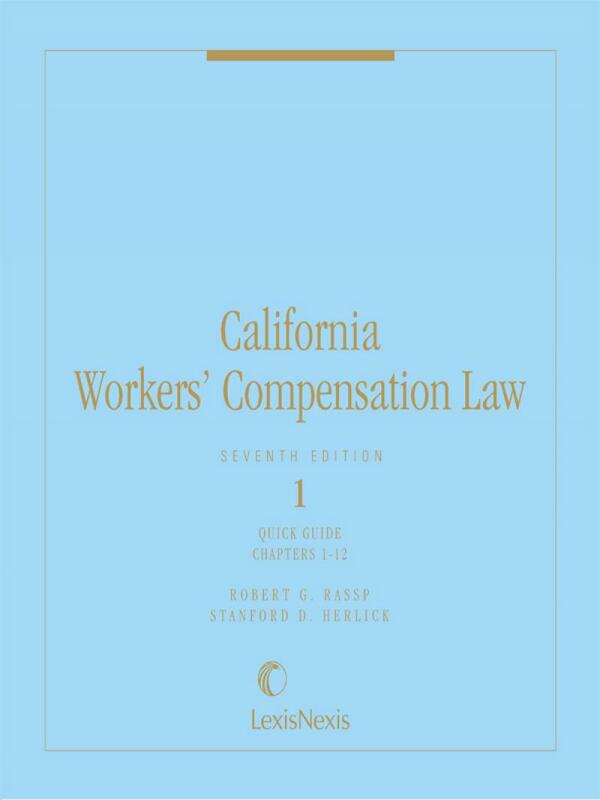 "Although California Workers' Compensation Law has been a standard reference text for decades, it escalated to a much higher level when Robert Rassp became Editor-in-Chief of the Seventh Edition. 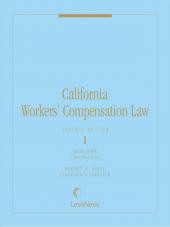 Mr. Rassp and his team of highly respected contributing writers completely re-wrote this two-volume treatise to increase its utility as the place to begin any legal research on California workers' compensation. 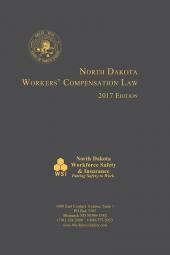 Their in-depth understanding of workers' compensation and relentless pursuit of more insight into the nuances of this complex body of law have produced a "must have" treatise for any attorney or physician involved in the treatment of injured workers or in the resolution of their workers' compensation claims." Contributions from Editor-in-Chief Robert G. Rassp, Esq., along with Frederick W. Bray, Esq., Clint W. Feddersen, Esq., Steven M. Green, Esq., Carol L. Joyce, Esq., Hon. Darcy Kosta, David Bryan Leonard, Esq., Jesse N. Rosen, Esq., and Jay Shergill, Esq. All citations have been reformatted to follow the California Style Manual. Special Alerts summarizing key features of SB 863 have been added. A new Quick Guide topical list of key statutes & rules, Trend Alerts for over 40 recent noteworthy panel decisions, and a detailed Presumption Chart for public safety members have been added. All chapters now completely rewritten and reorganized with SB 863 reforms. Robert G. Rassp is a graduate of Loyola Law School class of 1981. He previously earned two undergraduate degrees from the University of California at Irvine in 1978 at age 20. While practicing law as an attorney, Judge Rassp handled workers' compensation and Social Security disability cases since 1981 and was the principal of his own law firm from 1983 until April 15, 2018. On April 16, 2018, Judge Rassp was appointed as a workers' compensation administrative law judge and assigned to the Los Angeles WCAB District office. In 2017, Judge Rassp was appointed as an adjunct professor of law at Pepperdine University School of Law in Malibu, California teaching workers' compensation law as an upper division class. In addition to his law practice, Judge Rassp was the Chair of Friends Research Institute's West Coast Institutional Review Board for fifteen years. The IRB is a committee consisting of eleven members that conducts the oversight of human subject medical research under the auspices of the Food and Drug Act, 21 CFR 50, 21 CFR 56, and 45 CFR 46. In September 2005, Judge Rassp was appointed as a member of the Friends Research Institute's Board of Directors and was named Chairman of the strategic planning sub-committee. In October 2008, Judge Rassp was named Chairman of the Board of Directors for FRI, effective January 1, 2009. In addition to his duties as an attorney and medical ethicist, Judge Rassp was appointed as a member of the State Bar Workers' Compensation Law Section Executive Committee in April 1998 and became its Chair in 2000–2001. Judge Rassp was reappointed as a member of the Workers' Compensation Law Section Executive Committee in May 2003 and is currently an advisor to the Committee. At the annual Division of Workers' Compensation Educational Conferences in February and March 2010, Judge Rassp was awarded the inaugural DWC Community Service Recognition Award for his service to the workers' compensation community. Judge Rassp has conducted workers' compensation judge's training seminars at the request of the Division of Workers' Compensation. Topics presented include substantial evidence in AMA Guides cases and the integration of workers' compensation settlements, Social Security disability, and Medicare issues. Since the enactment of SB 899 and SB 863, Judge Rassp has conducted over 500 seminars for the workers' compensation community, including the Division of Workers' Compensation (DWC), California Coalition for Workers' Compensation, California Workers' Compensation and Risk Conference, California Workers' Compensation Defense Attorneys Association, State Bar of California, California Applicants' Attorneys Association, National Workers' Compensation & Disability Conference & Expo, San Fernando Valley Bar Association. Orange County Bar Association, WorkCompCentral, and other organizations. 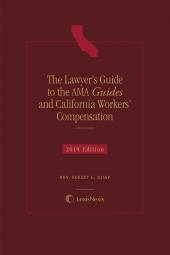 In 2005, Judge Rassp was a contributing author for Chapters 29 (Social Security and Medicare) and 32 (Permanent Disability Rating Schedules) in Hanna, California Law of Employee Injuries and Workers' Compensation (LexisNexis® Matthew Bender), and Chapter 7 (Permanent Disability Rating Schedule) in Herlick, California Workers' Compensation Law (LexisNexis® Matthew Bender). In addition, Judge Rassp was a contributing author to The Complete Guide to Medicare Secondary Payer Compliance (LexisNexis). He is the editor-in-chief of the two-volume treatise, Rassp & Herlick, California Workers' Compensation Law, Seventh Edition (LexisNexis) that was completely revised and updated in 2014, and annually thereafter. Judge Rassp is a member of the LexisNexis® Calif. Workers' Compensation Editorial Board and is a member of the sub-committee for WCAB Noteworthy Panel Decisions. He is also a member of the Larson's National Workers' Compensation Advisory Board. Stanford D. Herlick, a former Deputy Attorney General of the State of California, was actively involved in workers' compensation law since 1955 when he was appointed Deputy Commissioner of the California Industrial Accident Commission (now called the Workers' Compensation Appeals Board). His experience in the field included more than 16 years as an instructor in workers' compensation law at the University of California, Los Angeles, and nearly 20 years as a consultant specializing in workers' compensation. Mr. Herlick received his J.D. from the University of Southern California and an M.A. from the Talbot Theological Seminary.